Jam Roll is what the English call a proper nursery pudding. Tasty, warming, sweet ... and beloved of children of all ages. Served with hot custard, it's very comforting when it's cold, the rain is lashing the windows and a gale is howling through the fireplace. And it's delicious into the bargain. 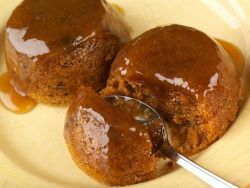 If you know how to make suet crust pastry, this pudding is a doddle and will almost look after itself while it cooks. In addition, jam roll is a flexible sort of pudding. You can use any jam you have to hand as long as it's red. 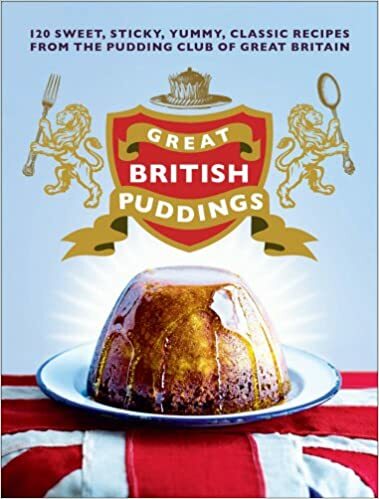 And the pudding itself can be baked, boiled or steamed without losing it's character. Unlike most other pastries, which are baked, suet crust is usually boiled or steamed and works well for both sweet and savoury dishes. According to Mrs Beeton the pastry can also be baked, but in the process looses some of its richness. Suet crust pastry is made from suet, flour, salt and water. It always contains baking powder as a raising agent. Self-raising flour works well when making this pastry, or you can add 4 tsp of baking powder to any 450g / 1lb of plain flour. Suet can be bought in ready-to-use packets or fresh from the butcher. When using fresh suet remove the skin and shred the suet finely before using. Vegetarian suet is available ready-to-use from most grocers or supermarkets. Place your suet crust on a lightly floured board and roll out into a strip 20cm (8in) wide and about 5mm (1.4 in) thick. 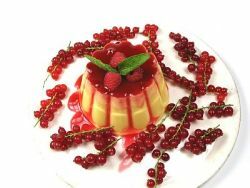 Spread generously with the jam of your choice, leaving a 1.5cm (3/4 in) edge around the pastry. Moisten the edge with water and roll up the pudding, pressing the edges firmly together. 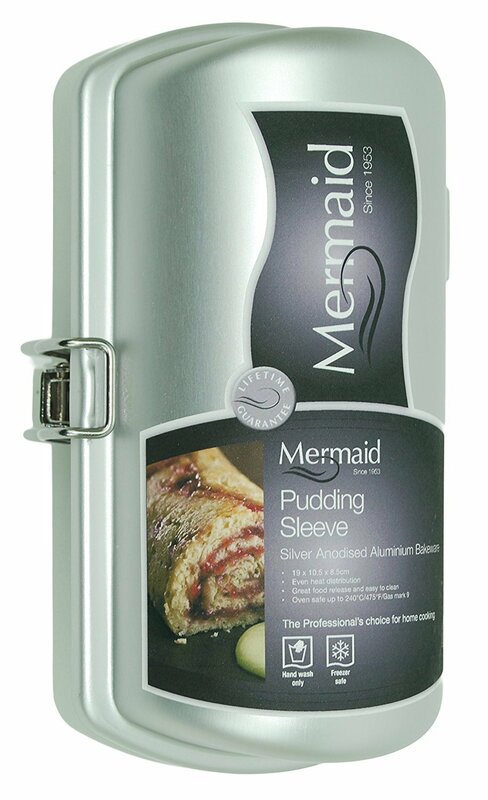 Now you have a choice of baking, boiling or steaming your pudding. Place the jam roll onto a greased baking sheet and bake in a medium oven (200°C / 400°F / gas 6) for 45 minutes to one hour. Alternatively, wrap the roll in greaseproof paper and tie loosely in a cloth, before immersing in it in a large pan and boiling for one and a half hours. Or finally, place dough in a pudding steamer (see sidebar for an example) or wrap the roll in greaseproof paper and tie loosely in a cloth before steaming it for two and a half hours. 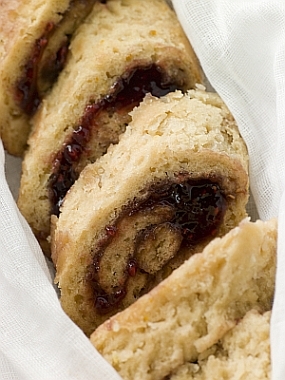 Wondering what to serve with Jam Roll? Try the recipes section for more ideas!